How the Yoga Sutras explains suffering and how to be free of suffering. A selection of sutra verses that every teacher should know and be able to comment on. Exploring what ignorance really is and the way Master Patanjali proposes of eliminating ignorance and achieving a liberated state. Recommended reading in preparation, though not required: The Textbook of Yoga Psychology by Rammurti S. Mishra, or any translation of the Yoga Sutras. 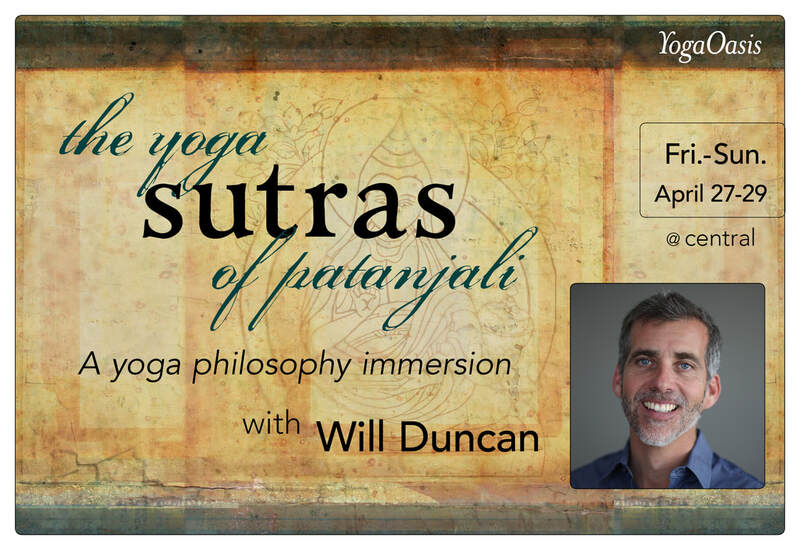 Will Duncan has been formally studying meditation and scripture with his teachers for three decades. He teaches yogic and Buddhist philosophy throughout the world. Known for bringing humor and light-heartedness into his teaching style he strives to show the relevance of ancient scripture in our day-to-day lives. He has completed almost 4 accumulative years of silent solitary retreat.